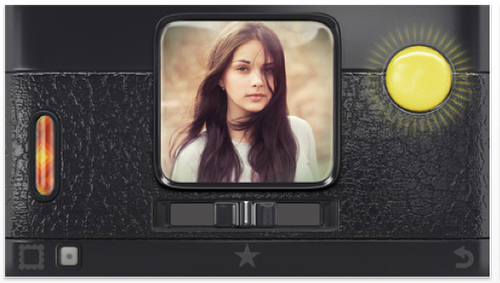 We’ve gathered together a selection of key photography apps that are either free today or have a price reduction for Black Friday. Take a look at the list below and if you’re missing any of these, try and pick them up today while the price is low. We will keep updating this list throughout the weekend, so make sure you bookmark it and keep checking back for more excellent deals. 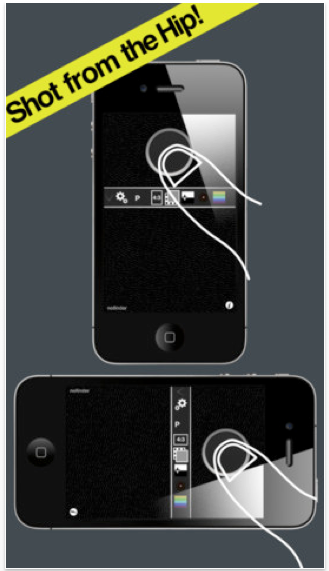 An absolute classic of an app, bit like have Photoshop always with you. Usually this app retails for $3.99/£2.99 but today it can be yours for only $1.99/£1.49/Download here. 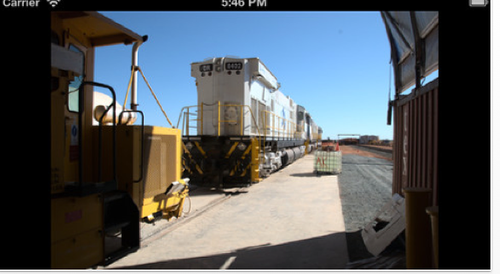 A great app, allowing you to add some key essential details. 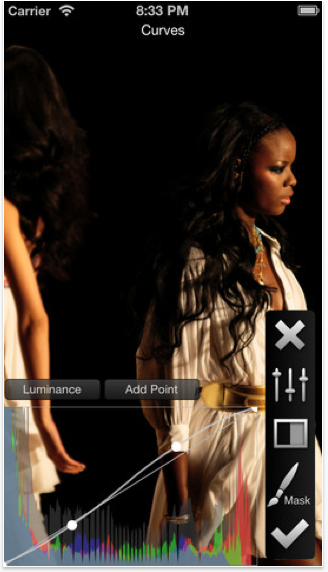 We’ve published a tutorial on this app here to help you get the most from it. This app is free today, don’t miss it. 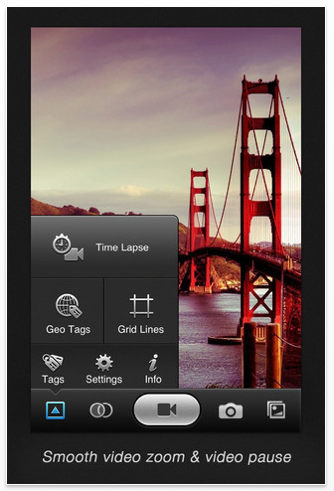 Another totally essential app for your photography app arsenal. This app usually retails for $2.99/£1.99 but today it’s free. Pick it up here. A good camera replacement app, usually this app is available for $1.99/£1.49 but today you can shave 50% off of that and grab it for only $0.99/£0.69/download here. An obvious classic, if you’re one of the few that still hasn’t downloaded this app, then this is a great day to do so. It is on offer at $0.99/£0.69 instead of $1.99/£1.49 today. Download here. 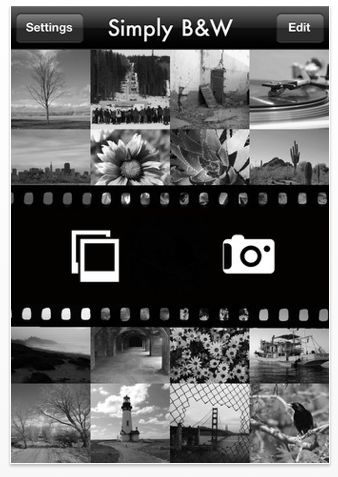 MonoPhix lets you quickly and easily create beautiful high contrast black and white scenes from your existing pictures. 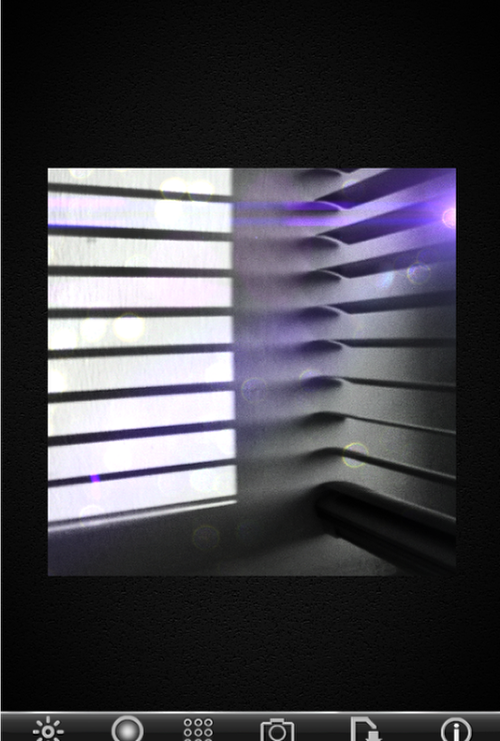 This app is available for half price today at only $0.99/£0.69. Pick it up here. There’s 20% off of this great app, this weekend. 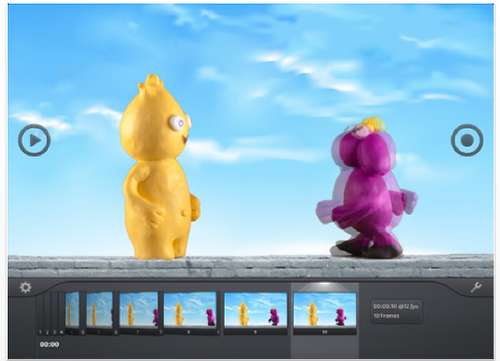 It’s a viewer and developer for image files in RAW format. Usually it retails for $9.99/£6.99 but today you can grab it for $7.99/£5.99. Pick it up here. 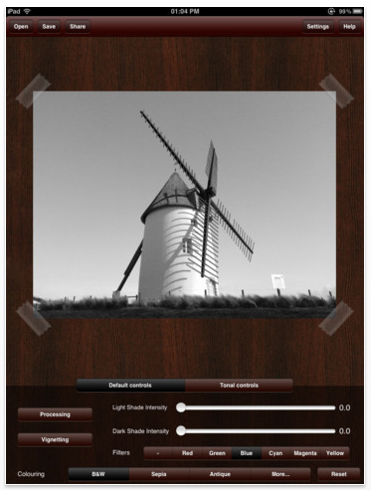 A very popular app for turning your color images to black and white. This usally retails for $0.99/£0.69 but today it’s free. Click here to download. 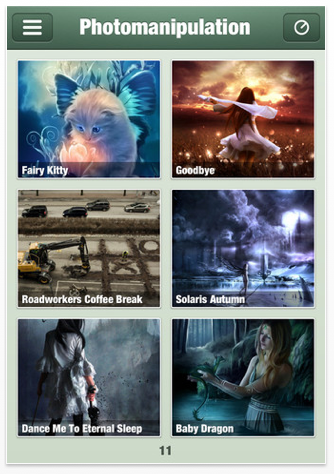 dA Gallery is a great way to browse the largest online social network for artist, deviantART. With art-discovery in mind, dA Gallery makes your browsing experience just as amazing as the art your browsing. This app retails for $1.99/£1.49 but today it’s only $0.99/£0.69. Click here to download. 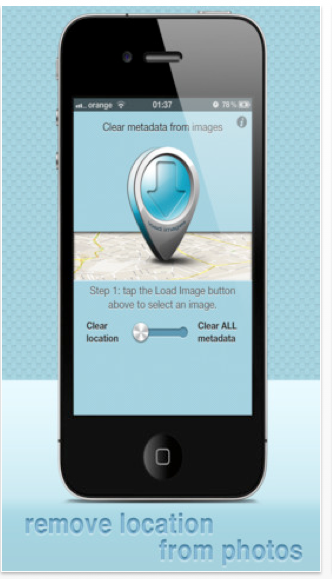 NoIMGdata easily allows you to REMOVE GPS information from any picture in your photo albums. This app usually retails for $1.99/£1.49 but today you can pick it up for only $0.99/£0.69/download. 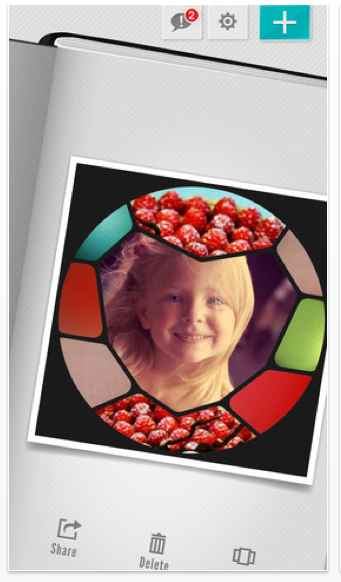 A great collage making app, this app usually retails for $1.99/£1.49 but today you can pick it up for only $0.99/£0.69. Download here. 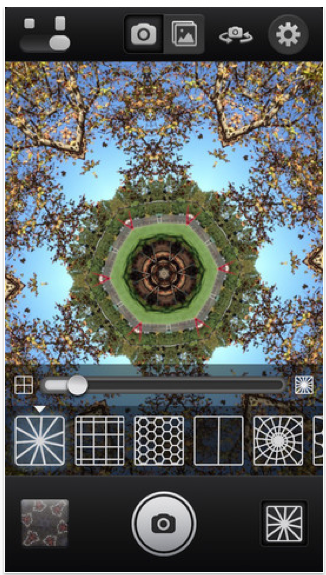 Turn your iPhone or iPod touch into a live kaleidoscope camera and capture beautiful images. This app is available for $0.99/£0.69 instead of $1.99/£1.49. Click here to download. 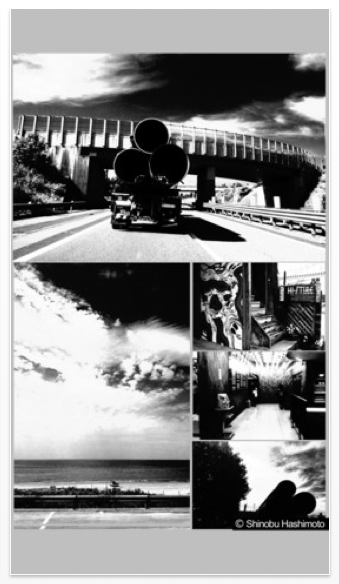 An absolute classic for monochrome photography. Now only $0.99/£0.69 instead of $1.99/£1.49. Click here to download. An app without any features, or perhaps only the essentials. Nofinder is free today, pick it up here.